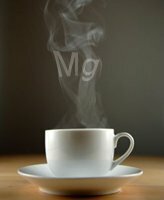 Give me a large, double-shot, no foam magnesium au lait please! Well, no… actually that would taste pretty darn horrid (magnesium and hot milk… I think I’ll pass). However, the sentiment remains the same – magnesium has some kick to it! How much “kick” exactly? According to reports from some of our customers, they’ve experienced enough of a boost to their energy levels that they have to remember not to use it too close to their bedtime*! This is not completely uncommon in someone whose metabolism is more sensitive to magnesium and the integral role it plays – especially in those that are extremely magnesium deficient and have yet to reach an equilibrium. So why is that? Well, if we zoom all the way down to a cellular level, magnesium is a required component in the production of ATP. And what is ATP? Adenosine triphosphate (ATP) is a coenzyme that is responsible for transporting energy within our cells for metabolism, and is used in a whole host of processes including cell division. For all of our cells that die on a daily basis, ATP is essential in the magical process of cell reproduction. It is also constantly recycled and reused within our body – a multi-purpose, energy Swiss Army knife of sorts that is able to be shaped and molded to suit the process utilizing it. In just one day, a healthy body will recycle ATP over 500 times. To understand the massive scale of this, consider that our bodies are made up of trillions of cells… trillions! And each one of them is using and synthesizing ATP. That’s monumental! Magnesium has been shown to be a fundamental nutrient for healthy sleep cycles. This type of reaction is both temporary as well as an indicator of magnesium deficiency. Once your body has sufficient levels of magnesium, more extreme reactions such as “spikes” in energy levels should not be an issue since you will be merely maintaining healthy levels. 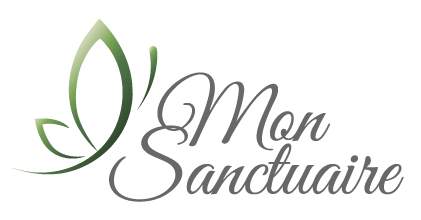 Mon Sanctuaire offers Magnesium Massage and foot soaks. We also sell magnesium for home use. Follow link to purchase.